A family in Johnson County, Kansas has opened a case in federal court against the County, its Sheriff and seven deputies after some stunning events in 2012. The Harte family had their home raided in the early hours of the morning by a SWAT team searching for marijuana. The raid had been orchestrated for over seven months after officers noted Robert Harte making a purchase from a hydroponics store. After searching through the Harte family’s trash and finding a substance they believed to be marijuana the officers put plans for the raid into motion, and raided the family’s house on April 20, 2012 at 7:30 in the morning as the family was preparing for work and school. 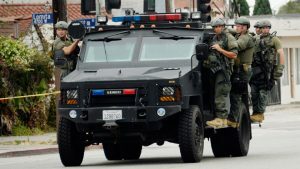 The SWAT team that raided the Harte’s home only to find out that the family was using the hydroponic equipment for an indoor vegetable garden containing tomatoes, melons, and squash. In addition, it was determined by the court that the substance that officers thought to be marijuana was simply used loose tea leaves. 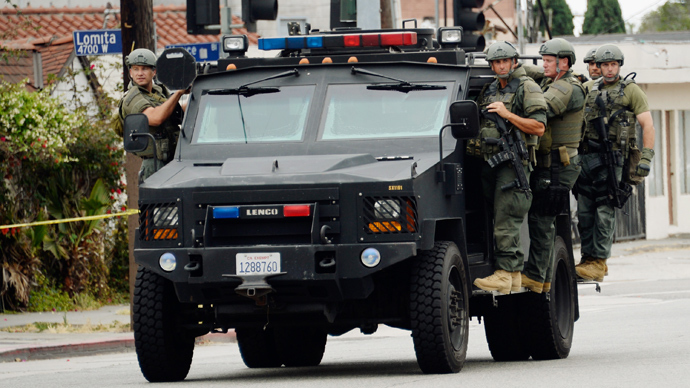 The family was held by armed guards for over two hours. The ordeal subjected the family, but especially the children, to a frightening and traumatic experience. The house was even searched by a drug dog, and officers went as far as suggesting that the Harte family’s son, age 13, be tested for drug usage. The Johnson County Sheriff took things ever further by hosting a press conference regarding the “success” of the operation. The conference cited the operation’s success in seizing drugs, firearms, and cash from the homes of Johnson County families, citing the town of Leawood, where the Harte family lived. This subjected the family to further humiliation beyond the ordeal of having their home raided. The family sued the county, but was initially unsuccessful, as the judge ruled that the officers had the protection of qualified immunity, meaning that because they were government officials, they could not be held responsible for civil liabilities. The Harte family appealed, and the case is being heard in a 10th circuit appeals court. The Harte family’s attorney argued that the raid should never have taken place, and that the tests that the defendants used on the loose tea leaves generated a false positive for marijuana. The county had even stated the test was not very good, citing that the test reacts to caffeine, a common chemical found in tea leaves. This was an unreliable test that led to the eventual misfortune, terrorization, and embarrassment of the Harte family. The defense has argued that the question up for argument in court should be one of whether or not the defendants should be facing qualified immunity, independent of the actions taken to land them in court. The family seeks to take the defendants to court for over $7 million in damages for the trauma and damaged cause by the actions of the Johnson County Sheriff’s department.